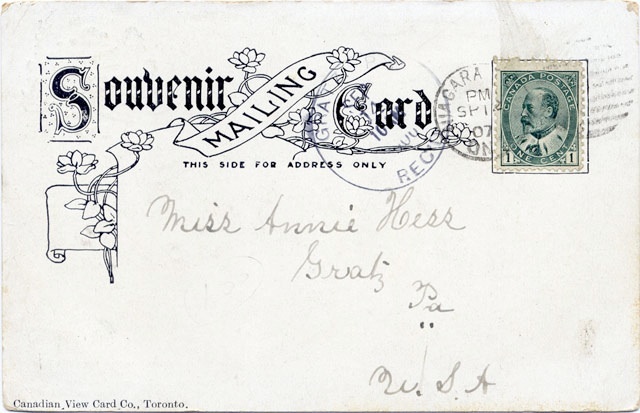 Canadian View Card Co. was based in Toronto. Their early series of postcards do not often bear the publisher’s attribution, however, an example from the Canada Coat of Arms series is shown below. Later view cards more commonly bore the name of the publisher.